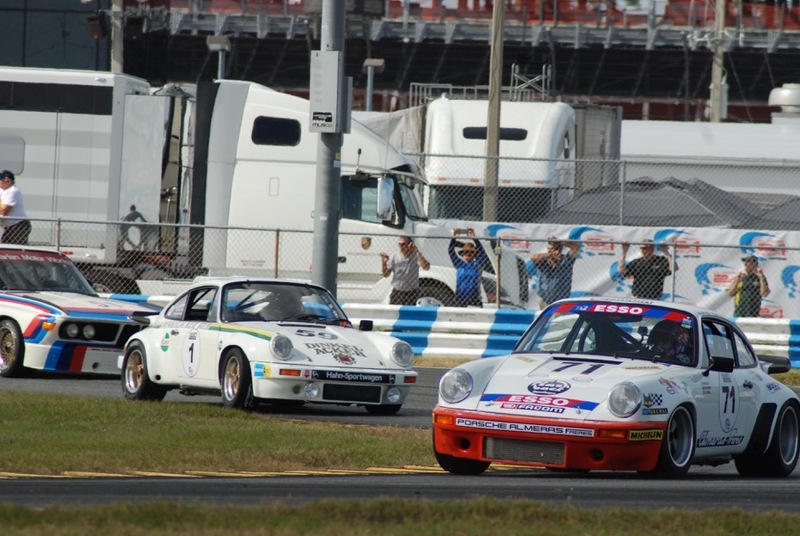 Daytona – an evocative word in the consciousness of anyone interested in Motor Sport. It has certainly been on my radar for many years and in the summer when the invitation to drive there came I did not need more than a millisecond to accept. I thought that I knew what to expect but I was wrong on a few counts. Firstly, the place is amazing. The scale and position in relation to local facilities make it unique in my experience and that was before I had experienced the circuit itself. The drivers’ meeting was interesting and I must admit to feeling some trepidation at the repeated warnings on how to drive the banking and what not to do because the consequences are always going to hurt. 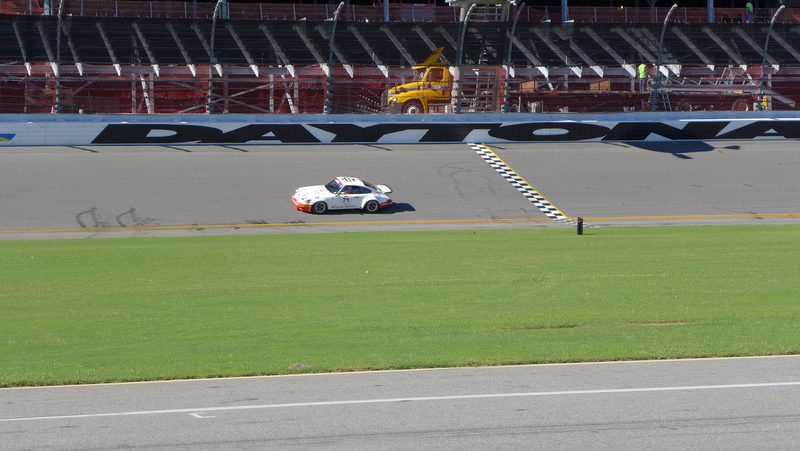 Then there was the experience of hearing cars on the track for the first time, which was incredible. Daytona is a fast track and the sound and sight of cars coming off of the banking onto the start finish in front of the enormous stands is something you have to experience personally to fully appreciate. Then it was time to drive the track for the first time and it did not disappoint. Driving a car flat out on this historic track with its two long 31 degree banked bends is the thrill of a lifetime and one of the best motor racing experiences in my career to date. It is always good when things go well and we had a great race and a good result. 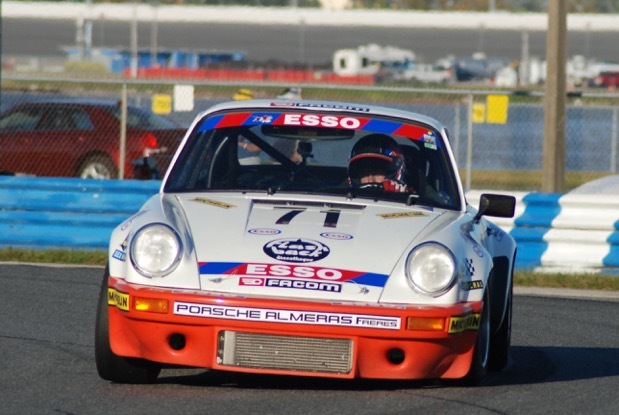 The thanks and appreciation have to go the organising HSR team and our US partners Heritage Motorsport who prepared and ran the car, a 1974 Porsche Carrera 3ltr RS with an incredible period race history that includes four Le Mans 24 Hours and a Disney movie! Finally, I have to express my sincere thanks to the car’s owner, Chris Wilson, who because he could not do the race himself generously invited me to do it for him and trusted me and co driver Marc Devis with such a famous and valuable car. Have a look at the pictures on our Facebook and Instagram pages and share in our experience.